A middle-class French teen (Valerie Mairesse) helps her older neighbor (Therese Liotard) secure money for a much-needed abortion, and a lifelong friendship ensues. 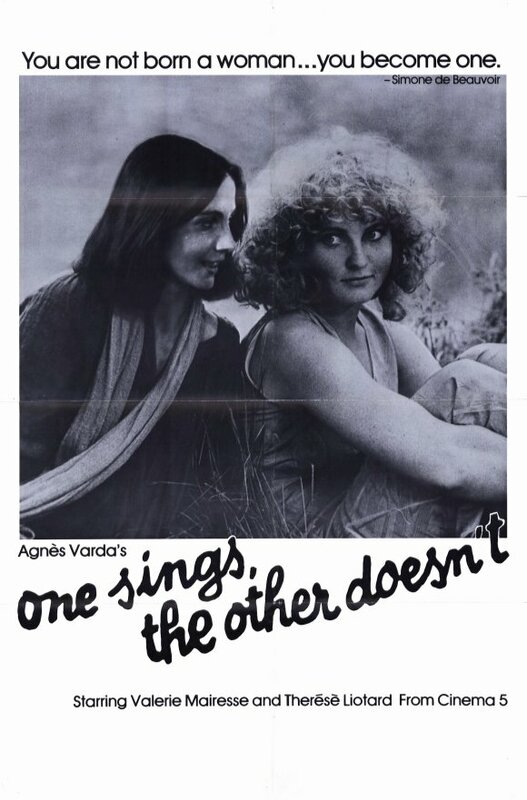 One Sings, the Other Doesn’t is Belgian director Agnes Varda‘s unabashed paean to female solidarity. As a narrative, it’s not all that successful: several plot devices (particularly the final one, involving Mairesse, her Iranian husband, and their baby) are clearly contrived, and Varda’s voice-over (done in English, for some reason) adds an unnecessary sense of solemnity to the proceedings. Making matters worse, Pomme (Mairesse) is not a very good singer, and the lyrics of her band’s ultra-feminist hymns (“I am woman, I am me”) come across as ultra-laughable today. Yet the film on a whole is so goodhearted and idealistic that one hesitates to fault it (or Varda) very harshly; it’s best viewed as a quaint if dated fable of womanhood and grassroots feminism. Yes, simply for its historical importance. More or less in agreement; a must for historical importance. This is an often-charming tale of friendship, with something of a documentary feel. At the same time, it is somewhat unwieldy and seems longer than necessary. As well, director Varda’s narration seems not only solemn but superfluous. Some of the music/lyrics…a bit unfortunate. So, yes, there are problems here, but many moments that make it worthwhile. Mairesse believably develops from feisty to feminist, but Liotard has the meatier role – it’s interesting to watch her character’s journey from being ‘deserted’ (a shocking scene) and left with two babies, to being subservient to disapproving parents (her mom actually says, “Soup’s on; call your bastards.”), to gaining control of her destiny (all while raising two perfectly fine kids). Am in total agreement re: Liotard ultimately getting to play the more interesting character of the two; one can’t help wishing her great joy as she gradually learns to accept love from a man once again in her life.